^ HDMI 1.3 Press Release. （原始内容存档于2008-02-22）. ^ HDMI Part 5 - Audio in HDMI Versions. 2006-08-09. ^ HDMI 2.1 版規格發布 (PDF). HDMI Licensing Administrator, Inc. 2017. ^ HDMI 2.1 Announced: Supports 8Kp60, Dynamic HDR, New Color Spaces, New 48G Cable. Anandtech. [2017-08-25]. ^ FAQ for HDMI 2.0. HDMI.org. HDMI Licensing, LLC. [2017-08-25]. 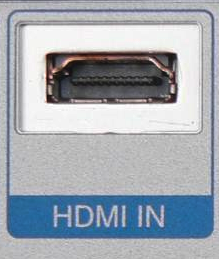 ^ HDMI Specification 1.4 FAQ - "All of the other new HDMI 1.4 features will be compatible with the existing categories of cables". HDMI Licensing, LLC. ^ HDMI Specification 1.4 FAQ - What's new?. HDMI Licensing, LLC.